This property is 12 minutes walk from the beach. Located along a small private beach in the world-famous Opunohu Bay in Moorea, Robinson's Cove - Deluxe Wallis Villa offers traditionally decorated villas with full kitchen and laundry facilities. Free WiFi and hot water are included. Situated directly on the beachfront this area is fantastic for snorkeling. Free kayaks and snorkelling equipment are available for guests. There is a BBQ area with outdoor seating and a guest library with books on Polynesia and the Pacific, in French and English languages. 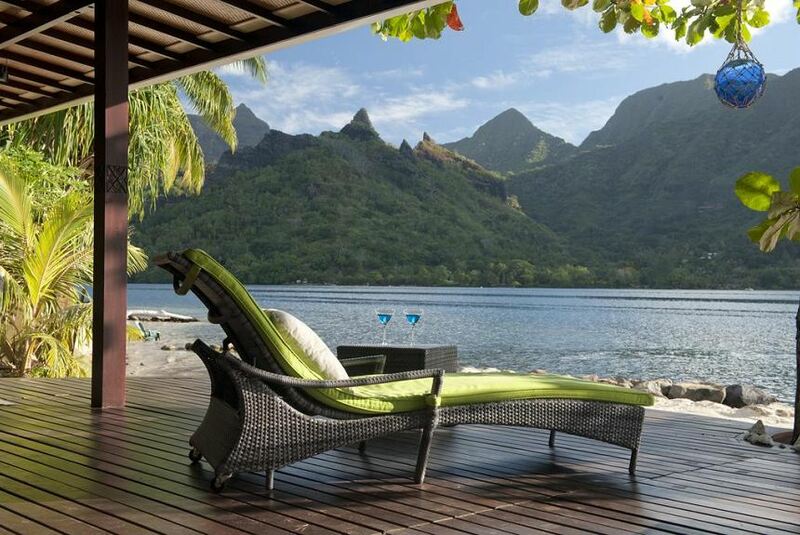 Robinson's Cove Private Beach Villas is 20 minutes’ drive from Moorea Airport and Vaiare Ferry Quay. There are many restaurants in Haapiti, only 10 minutes’ drive away. All bed linen and beach towels are provided. Each villa has a kitchen with large refrigerator/freezer, stove, oven, dishwasher, microwave, coffee maker and toaster. Most also have a TV and DVD player.